Custom molds specific to your customer requirement. Our company streamlined and simplified the downsides of in-house development, now including a turnkey package, with an initial low cost of entry and substantial capabilities. Our engineering and support package can provide the know-how for a successful long term program. On-site training is available to assist in the development of in-house capabilities. We can become your "overmold engineering department". Vertical with Vertical inject 30T 2.5oz. 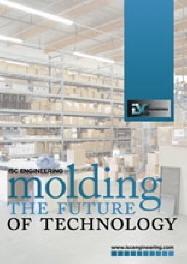 We are a leading edge provider of outsource overmolding technology and know how. 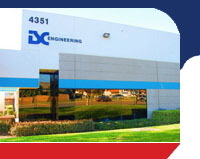 The company provides consulting, tool design and development, application engineering and technical marketing support to OEM and cable assemblies companies requiring the development or expansion of insert overmolding capabilities. The company through its design guide, in conjunction with state of the art 3D cadware on-line catalog of cable assemblies, strain and flex relief tooling, is a true, value added partner. We are unique within the interconnect and custom molded cables industry.